An awesome international Salsa night at CISC! 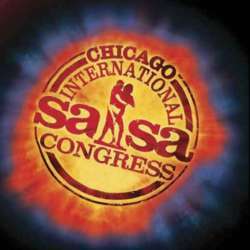 The Chicago International Salsa Congress (CISC) is an awesome event that gathers dancers from all over the United States and many other countries! It consists of workshops, dance showcases and competitions, concerts and social dancing from Thursday 2/7/19 at 5:00 pm to Monday 2/11/19 at 3:00 am. There will be plenty of amazing dancers and performances as well as concerts and social dancing! Let’s have a taste of the congress participating in the Saturday night activities. It will include a dance showcase and a concert with Don Perignon as well as social dancing. We would meet for dinner in a restaurant inside the Westin hotel that is hosting the CISC before heading to the dance showcase. Please, see below the program of the evening.